A Certified Aging-In-Place Specialist (CAPS) has earned a designation from the National Association of Home Builders through a certified program that focuses on the technical, management, and customer service skills essential to participating in one of the fastest growing segments of the residential construction and remodeling industries: Home Modifications for the Aging-In-Place Client. The NAHB Remodelors Council, in collaboration with the AARP, NAHB Research Center, and the NAHB 50+ Housing Council developed this program to provide comprehensive, practical, market-specific information about working with older and maturing adults to remodel their homes for Aging-In-Place. Many of these same principals concerning home modifications for existing residences can also be incorporated into new home design and construction to allow for the home to be easily modified over time to accommodate the changing needs of the homes occupants. In a 2000 study, “Fixing To Stay”, the American Association of Retired Persons determined that the majority of Americans would prefer to remain in their existing homes throughout their retirement years rather than move to a smaller, more “accessible” home, move into an Assisted Living Facility, or make some other arrangements. It was also determined that older consumers desired a reliable means of identifying professionals who are qualified to make modifications to their existing homes. In a follow-up study conducted in 2004, It was determined that of the seventy-seven million baby boomers who are currently entering their retirement years, approximately forty-nine percent of them believe that their homes will not fully meet their changing needs as they grow older. The Certified Aging-In-Place Specialist is knowledgeable and proficient concerning the multitude of ways that almost any basic home or building can be enhanced and modified to make the daily lives of those persons living in that building more productive, with an increased ease of living. It means the pleasure of living in a familiar environment throughout ones maturing years, and the ability to enjoy the familiar daily rituals and the special events that enrich all our lives. It means the reassurance of being able to call a house a home for a lifetime. Why work with a CAPS Designated Builder or Remodelor? 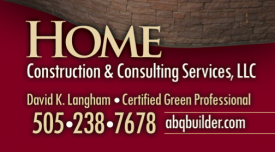 A Certified Aging-In-Place Builder or Remodeler has completed the only designation program in the country dedicated to improving the knowledge of Builders and Remodelers who are dedicated to serving those persons who want to remain in their homes long-term or modify their existing homes to allow them to remain in those homes throughout their retirement years. CAPS designated Builders and Remodelers not only have knowledge pertaining to how to modify an existing building, but also how to design a new home that can be easily modified over time to meet the changing needs of the home’s inhabitants. Many Aging-In-Place solutions involve the implementation of Universal Design Principles “after the fact”. It is very easy to incorporate these principles into the initial design of a home so that they are a part of the home and are absolutely not noticeable. CAPS designated Builders and Remodelers are required to obtain Continuing Education Units to maintain their designations and are exposed to ongoing and continually updated information in regards to a multitude of concerns regarding Aging-In-Place issues and solutions.